Any choice of cupcake designs with additional RM1 for packaging. Welcome to Loves Desserts ! Our goodies are homemade and may be customised to suit all your occasions. Order from Loves Desserts for birthday parties, engagement, wedding, cukur jambul and aqeqah ceremonies, or just to satisfy your sweet tooth! Ribbon & butterfly decoration is an additional RM1 each. 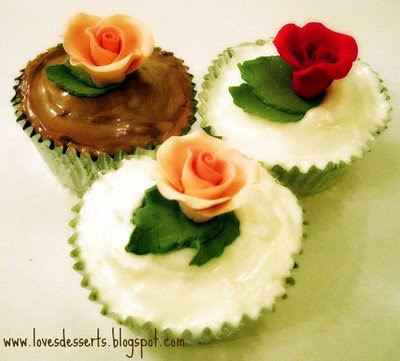 Loves Desserts may also customise your cupcakes to suit any occassion or theme. Packaging for door gifts or wedding/engagement/aqeqah etc will be an additional RM1 which includes a plastic round casing and bow ribbon on top. Will post a photo of the sample for the packaging soon. Gift packs are also available for birthday gifts & hampers. Do call to enquire.